Latin dance classes are a fantastic way to exercise, learn and develop skills that will benefit you both physically and socially. 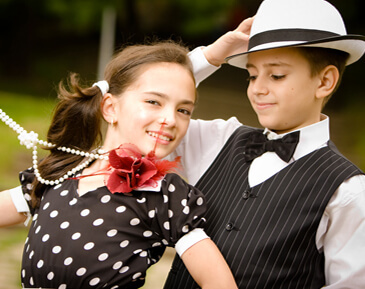 Here are just a couple of the many ways you can enjoy participating in Latin dancing. Many people take part in Latin dance classes as a way of socialising and meeting new, like-minded friends. If you have recently moved to a new area, or want to take part in an activity outside of work or your day to day routine, Latin dance classes can be a fun way to meet new people. A lot of Latin dancing requires partner work, so bringing along a friend, colleague or partner can add a whole new dimension to your relationship. If you haven’t got anyone who wants to come, attending alone means you’ll definitely get chatting to new people and there’s always someone you can partner with at the class. Latin dancing is becoming increasingly popular for team-building and corporate events. It’s a great way to get your team out of the office and encourage them to let their hair down and have fun. The choreography requires concentration and focus and can be a great way to help your team unwind and relax. Pairing people up who don’t often work together can also help your employees to develop new bonds with colleagues which can be carried back into the workplace, leading to more productive and collaborative relationships. If you want you could always turn the activity into a bit of healthy competition – by having a dance off at the end of the session, getting all of your staff to vote on the best dancers and rewarding them for their efforts! At Dance4Passion we offer a range of Latin dance classes covering all of the major disciplines, including Cha Cha Cha, Jive, Samba, Paso Doble and Rumba. We have years of combined experience in teaching, performing and competing all over the world, so when you attend a Dance4Passion class, you know you’re in the right hands. With so many reasons to give Latin dance a go, why not get in touch with us today to find out where your nearest dance class is in Scotland. To book up some Latin dance classes, visit out free online contact form by clicking here. Alternatively you can call us on either 07956 771616 or 07903 893631. If you don’t see yourself taking up latin dance classes but still wish to learn a form of dance, then why not try ballroom dancing? 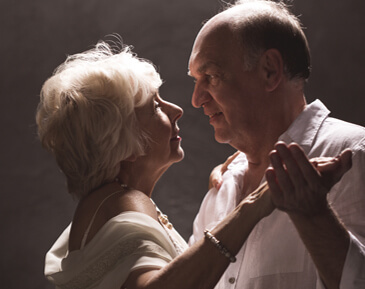 To help you make up your mind, visit our article that explains some of the incredible benefits that ballroom dance classes have to offer! Click here to visit our article “Get Involved in Ballroom Dancing” to see what you’re missing out on! Error: Error validating access token: Session has expired on Tuesday, 09-Apr-19 17:26:27 PDT. The current time is Sunday, 21-Apr-19 18:52:41 PDT.